As our understanding of the human microbiome begins to mature, oncology-microbiome research is seeing an injection of scientific interest and investment. 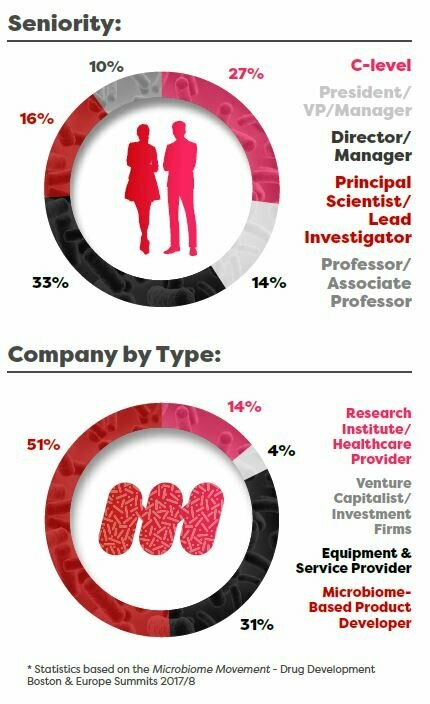 Researchers and therapeutic developers are now on the look-out for the most innovative service providers with experience in microbial genome sequencing and analysis, in vitro and in vivo model provision, study design, contract manufacturing, as well as IP consulting. 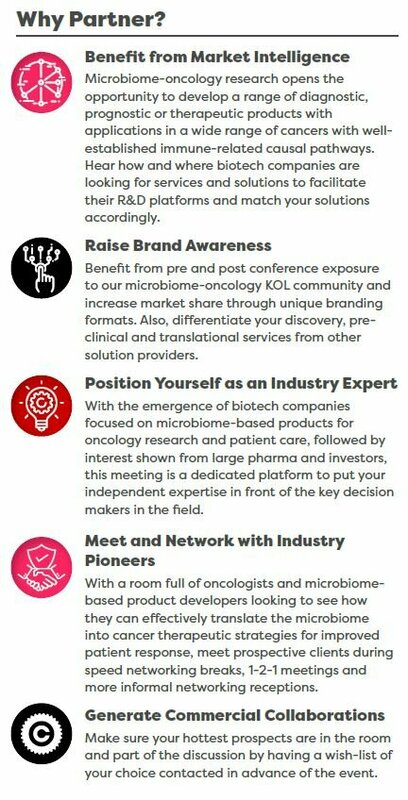 The inaugural Microbiome Movement – Oncology Response Summit is the perfect opportunity to demonstrate your technology, experience and capacity to meet the increasing demands of this emerging field.